Posted February 16th, 2016 by Jessica Garcia & filed under Uncategorized. With cool white sand beaches and water so blue and clear you have to see it to believe it, it’s no wonder so many people spend their vacations in Cancun. There are several cities close to Cancun that can be reached by car that are worth a day trip, but we MUST tell you about the incredible Islands and how to fully enjoy them. Let us show you how to do a day trip to the Islands by Cancun. First you will need to get to Playa del Carmen, (easily reachable by bus or by car) then you will want to take the ferry to Cozumel. The ferry leaves multiple times a day and is fairly affordable, not to mention a beautiful ride. Once you arrive on the Island you can either choose to explore on foot or rent a moped scooter to get around faster. We suggest you find a local dive company who can take you out snorkeling or scuba diving and spend the first part of the day exploring the marine life and maybe even learning something new. After, walk around town and find a restaurant to enjoy a nice lunch at (TIP: Ask the locals what’s good). Since you might be tired from the big start to your day, we suggest you go to the beach or do some shopping. At night, find a nice outdoor restaurant and enjoy a delicious meal then watch the sun go down and sip on tropical cocktails. The “Island of Women” is much more than it’s name. This Island can be reached by ferry, with many locations around Cancun including one in the Hotel Zone. Once you set foot on Isla Mujeres you’re officially on Island time. We suggest you head to North Beach and rent some chairs and umbrellas right on the beach at a beach club, then enjoy drinks and snacks as you simultaneously take dips into the pool like water. Make sure to bring your camera because this Island is something you will want to make your friends back home jealous of your vacation. Once you’ve had enough sun, walk around town and explore the shops and artisan handcrafts made by locals. Isla Mujeres is breaming with wonderful restaurants perfect for an early dinner and drinks before you head back to the mainland. This Island is for the adventurous. Although located a little bit further from Cancun then the two previously listed, we promise it’s worth the trip. 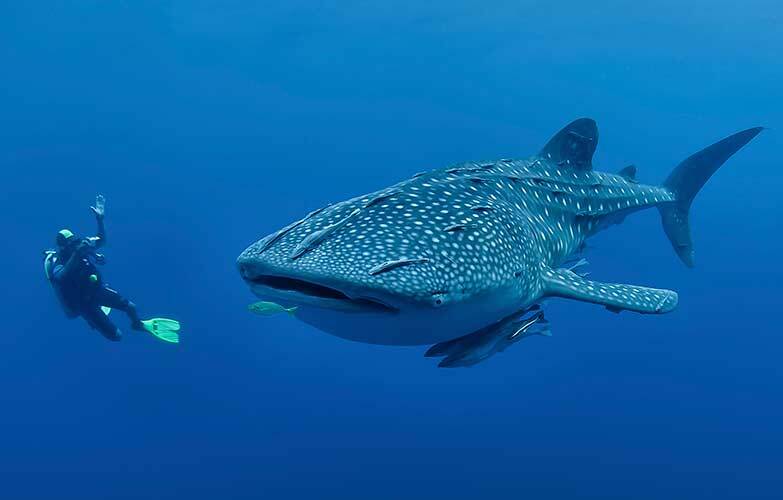 The best thing to do from Isla Holbox, in our opinion, is swim with the Whale Sharks. There are plenty of places that offer tours where you will be taken out to swim with these docile animals. These tours usually include, food, drinks, and live music at the end of the da,y but the most exciting experience by far will be the swim. This Island offers something a bit different from the touristy places so if that’s what you want then this is your spot. Have you visited one these Islands before? Tell us about it in the comments section below! Ready to book your dream vacation to Cancun or the Riviera Maya? Do it now!